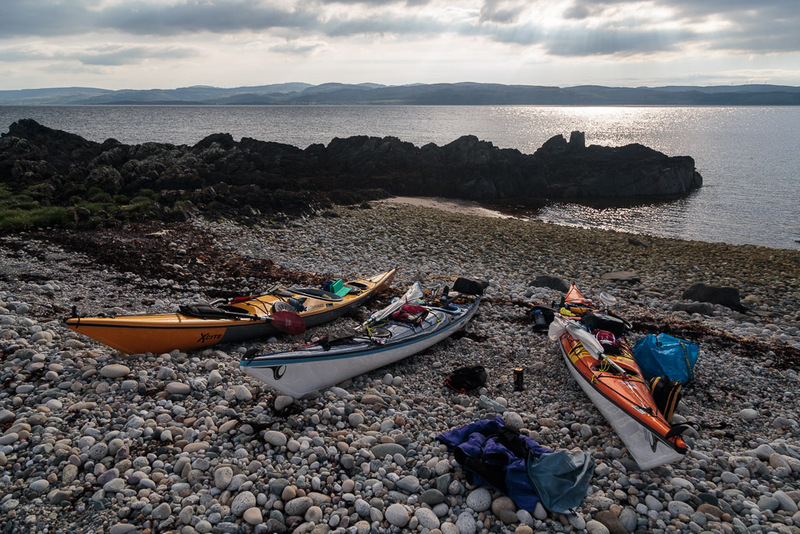 Sea kayaking with seakayakphoto.com: The priapic Druid of Machrie. The priapic Druid of Machrie. 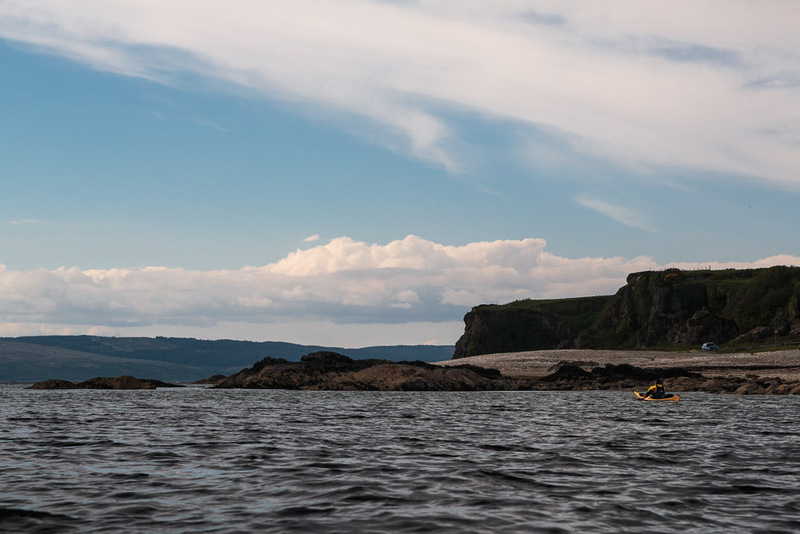 On the north side of Machrie Bay the road runs on a raised beach with a line of wave cut cliffs and caves behind. 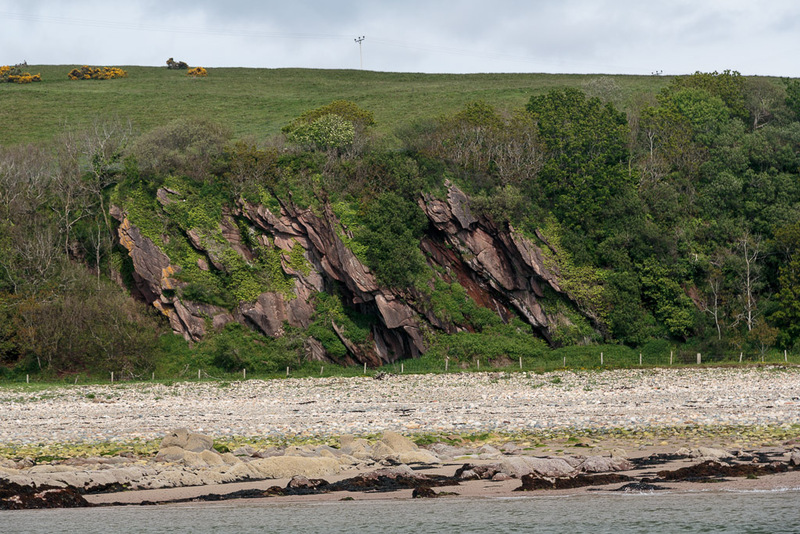 Since the last Ice Age, Scotland has been rising as a result of post glacial rebound. 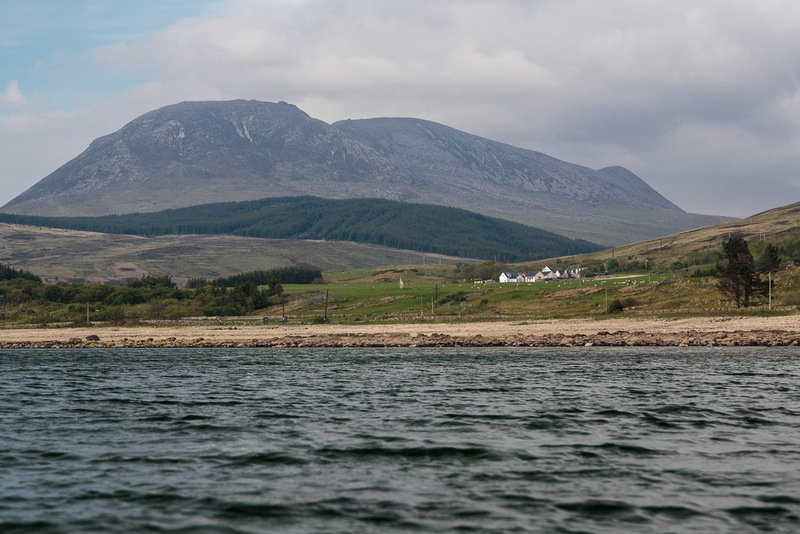 There are multiple raised beaches round Scottish coast and many coastal road builders have taken advantage of their level ground. ....Auchencar farm and in one of its field stands the Druid Stone. 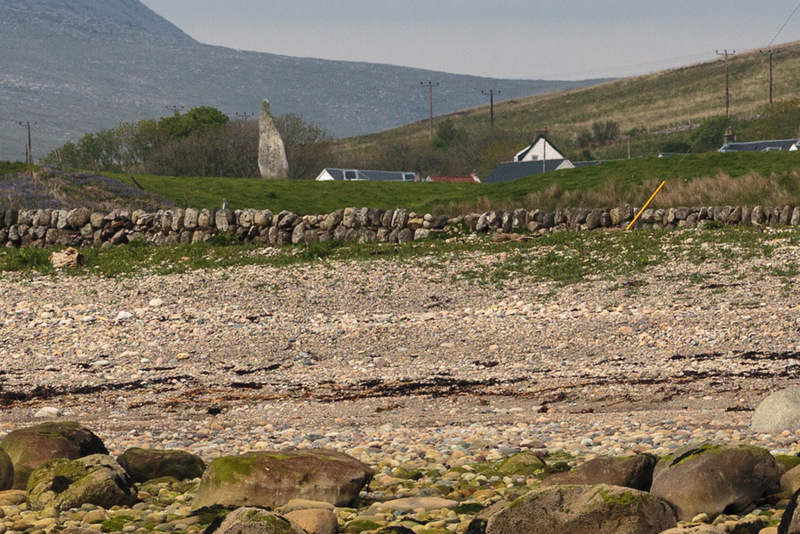 There are many standing stones on Arran but this one is the tallest. There is a second, similar but fallen stone alongside. We spotted the priapic Druid a long way off. 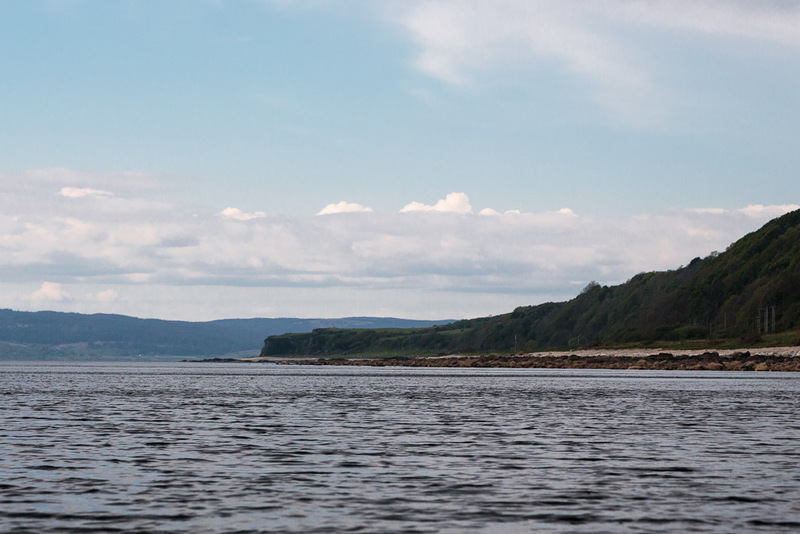 It was clearly situated to impress those who like us approached Machrie from the sea. 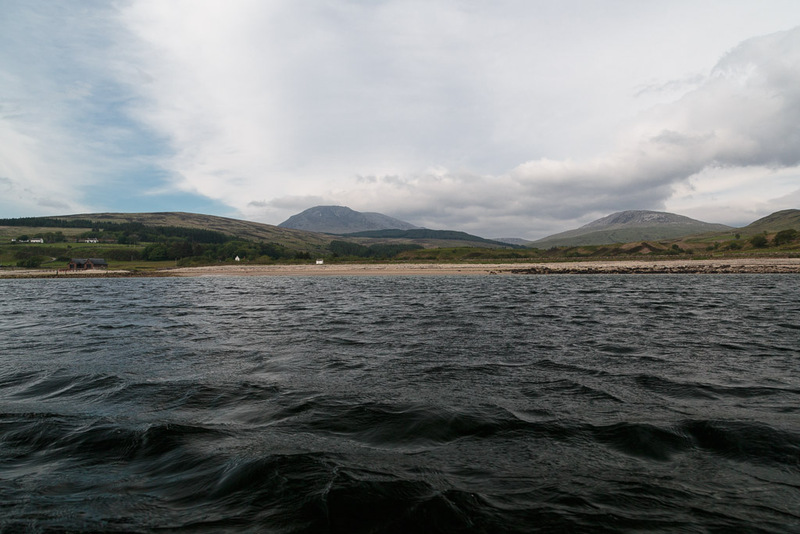 As we passed the mouth of Glen Iorsa, the NE wind funnelled down the glen spreading cats paws over the sea. 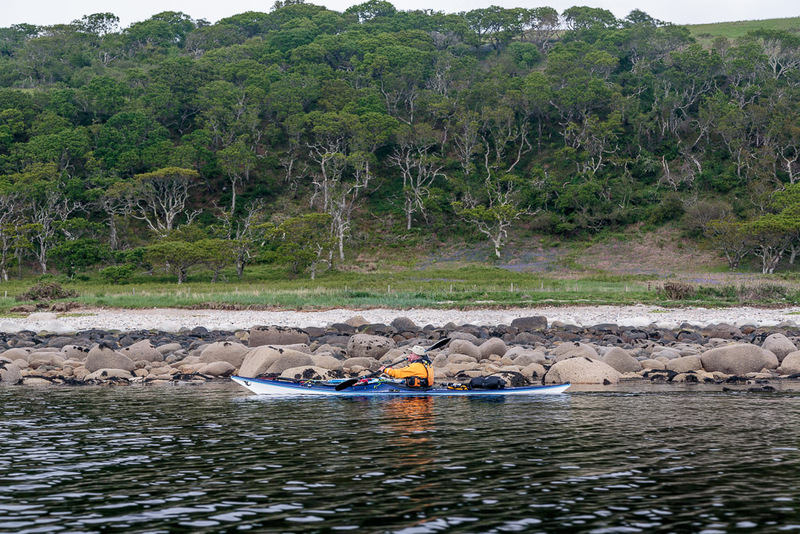 The boathouse and Dougarie Lodge lie on the north bank of the Iorsa Water which flows into sea here. 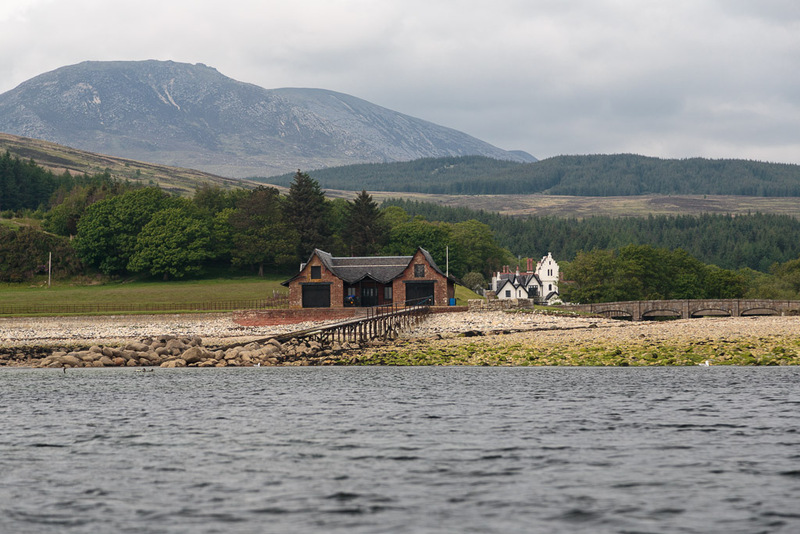 Dougarie is a hunting shooting and fishing estate and was built in 1865 as a secondary summerhouse for the Duke of Hamilton whose main summer house was Brodick Castle on the east coast of Arran. It was now evening and the coastal mixed deciduous woodland was filled with birdsong. 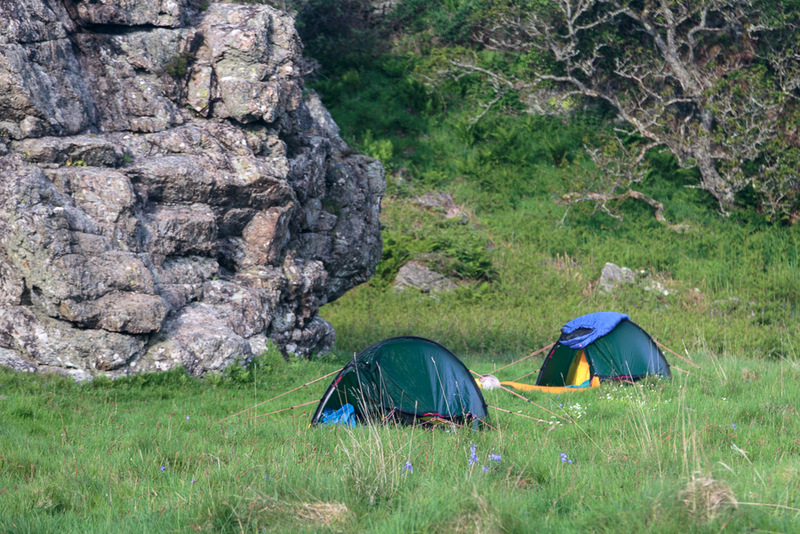 ...and get the tents up on the raised beach. Loved these photos - great post.